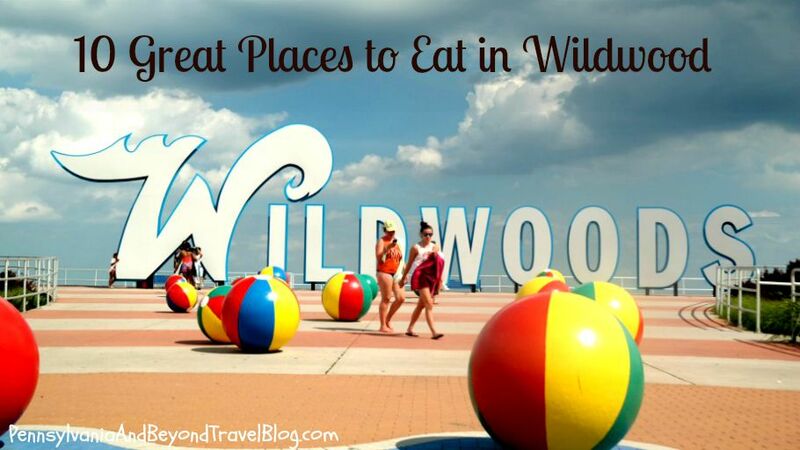 Wildwood is one of our favorite places to visit at the Jersey Shore. When visiting the island you will find thousands of different places to eat. 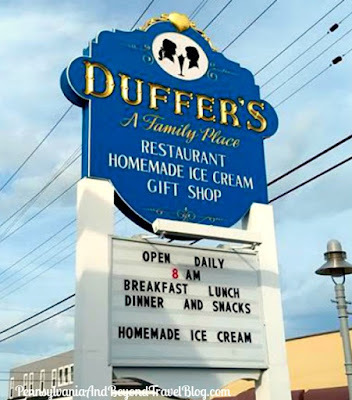 You will find mom and pop cafes, non-chain pizza shops, good old-fashioned ice cream parlors, burger joints, Irish pubs, sub shops, seafood restaurants, Asian buffets and so much more! Seriously, you can go totally causal in shorts & flip-flops or get all dressed up and go out for fine dining. Looking for a few great places to grab something to eat? Well, here are 13 of our favorite casual dining places to visit in no particular order. We started off our list with 10, but over the past few years added a few more places that we absolutely love. 1. Vegas Diner - is located at East 14th Avenue & New Jersey. They offer your classic dinner fare and so much more! You can get burgers, steaks, salads, seafood, Italian dishes and even some Mexican food here! It's one of our favorite diners on the east coast! 2. Doo Wop Diner - is located right on the boardwalk at 4010. They offer your classic dinner fare but are really known for having some of the best burgers in town! They can get pretty busy during the lunch & dinner rush so I suggest visiting during the "off peak" hours. 3. 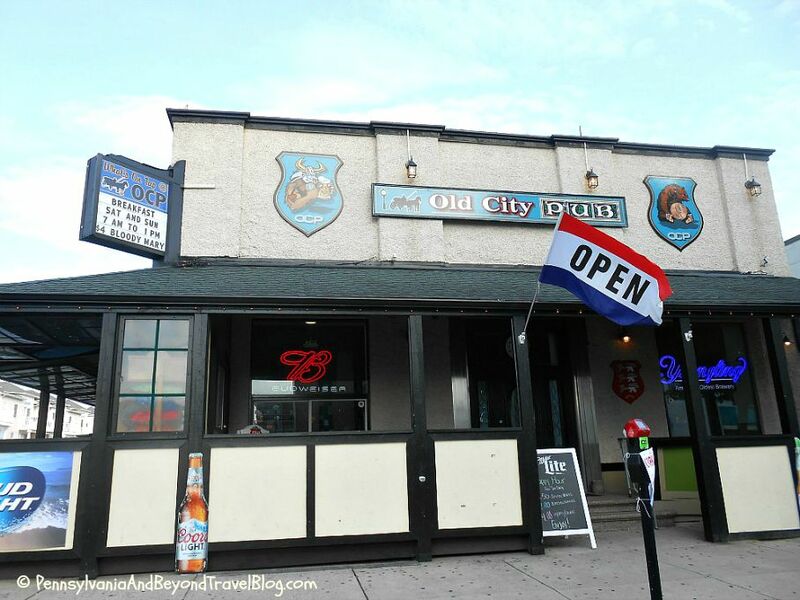 Old City Pub - is located at 3301 Atlantic Avenue is on one of the main drags through town. They offer many different types of items on their menu but if you want Italian food...this is the place to go! Generous portions, affordable price and great friendly service too! 4. Star Diner Cafe - is located at 325 West Spruce Avenue in North Wildwood. They offer you classic dinner fare...great steaks, seafood, burgers, Italian dinners and some of the best desserts on the entire island! 5. 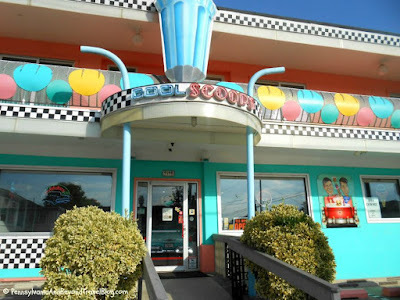 Cool Scoops Ice Cream Parlor - is located at 1111 New Jersey Avenue and is one of the coolest ice cream parlors that we've ever visited. The entire shop is decorated in a retro 1950's and 60's Doo Wop style! While they don't have the best ice cream I've ever had...it is good! 6. 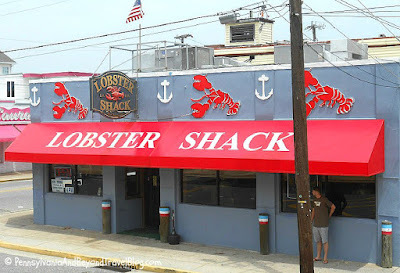 Lobster Shack - is located at 401 East Wildwood Avenue. They are just a few feet off of the boardwalk. As the name implies, you can get all kinds of great tasting seafood at a really affordable price. They are a casual restaurant that welcomes families and groups. 7. Rick's Takeout Seafood - is located at 435 W. Spruce Avenue in North Wildwood. They offer all kinds of freshly made seafood! We love ordering their steamed crabs, shrimp, battered onion rings, clam chowder soup and they have the BEST coleslaw on the island! 8. 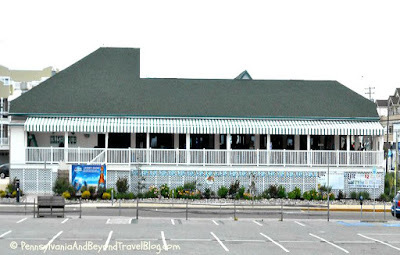 Curley's Fries - Curley's Fries is the BEST place on the Wildwood Boardwalk to get French Fries! You can buy a small container or go for the family bucket. In addition to having the best fries, I also feel they have the best fresh-squeezed lemonade in town! 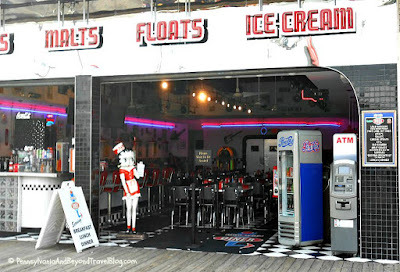 You will find 2 locations on the boardwalk. 9. Munchies - is located on the corner of 26th Street in Wildwood. 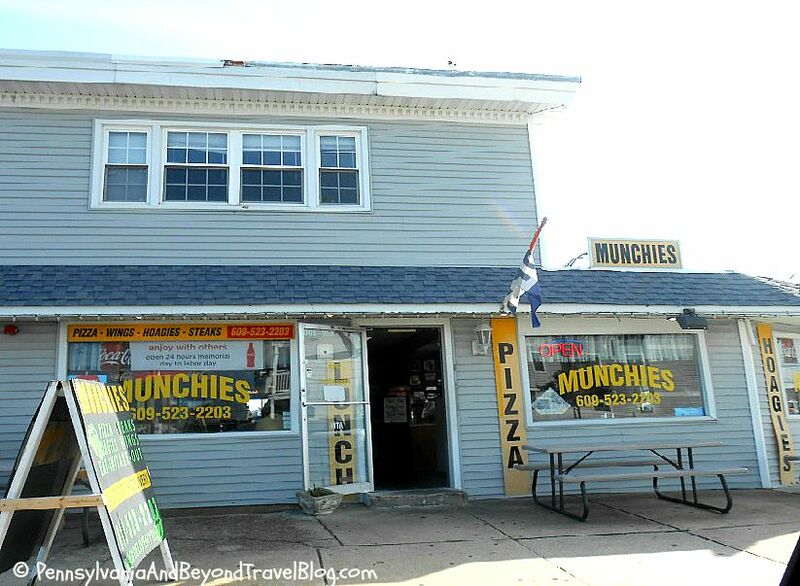 They offer pizza, wings, hoagies, steaks, fries and more! They are open seasonally and you can eat there or grab takeout which is what we do. 10. 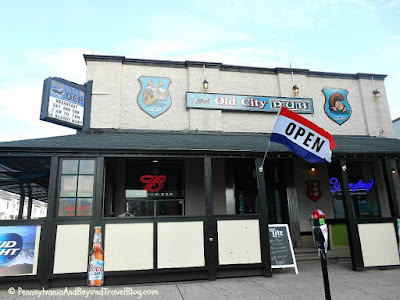 Westy's Irish Pub - is located at 101 East Walnut Avenue in North Wildwood. They offer some of the best seafood and steaks on the island! In addition, they always have some type of "live" entertainment going on for you to enjoy. 11. Russo's Market - is located at 9th and Ocean Avenues in North Wildwood. If you're looking for the BEST hot and cold subs and the BEST Philly Cheesesteak on the island, you need to go to Russo's Market! They also have steaks, hamburgers, cheeseburgers and a full-service deli. When we're in the mood for hoagies or cheesesteak...this is where we go! 12. 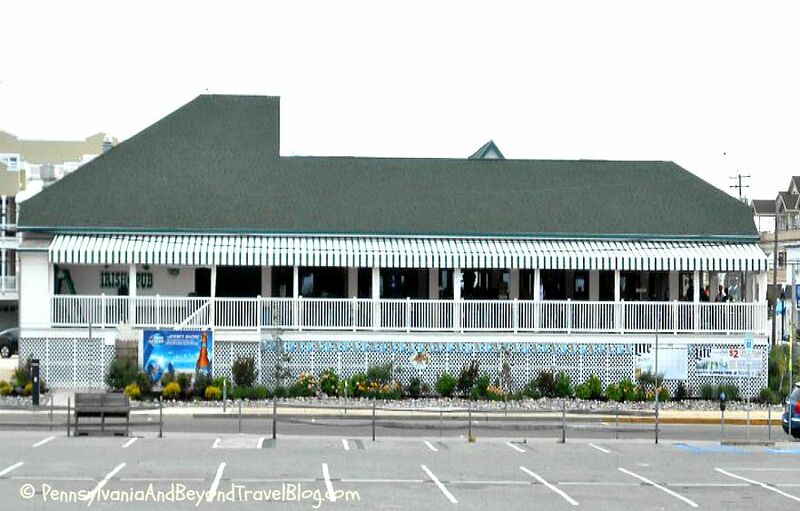 Rio Station Restaurant & Bar - if you don't mind driving over to the mainland, we recommend the Rio Station Restaurant & Bar in Rio Grande. They offer various steaks, fish, seafood, burgers, sandwiches, soups and salads. They have a nice little kid's menu too! Every time we're down in Wildwood we plan a visit to the Rio Station and love their food! 13. Duffer's Restaurant & Ice Cream Parlor - is located on Pacific Avenue in Wildwood and is a combination restaurant, ice cream parlor and they have their own miniature golf course & arcade for families to enjoy. Their food is delicious and affordable. Their mini golf course is done in an underwater theme and includes 18 holes. All of these places offer casual and family-style dining. They are all centrally located on the island and most offer free parking or metered parking nearby. Many of them offer takeout should you prefer to take your meal with you. Enjoy! You have given me so many things to do in Wildwood and now all these place to eat. I want to go there soon to sample some of the foods reviewed.